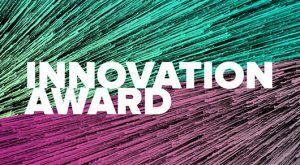 Oxford, UK, 14 January 2019 – Oxfordshire companies which are progressing valuable innovations can apply now for The Oxford Science Park Innovation Award, one of 2019’s Oxfordshire Business Awards (OXBA). The Oxford Science Park, one of the UK’s leading parks for science and technology companies, is pleased to be sponsoring the award for the fourth year. In the winning entry, its judges are looking for the development and/or introduction within the last three years of an innovative product, process, service or business method which has had a real commercial or social impact. Oxfordshire companies of any size and from any sector are encouraged to apply, with a deadline for applications of March 18. In the previous three years of The Oxford Science Park sponsorship for the Innovation Award, the winners have been Oxford Space Systems, Perspectum Diagnostics and Adaptix Imaging, all of which continue to flourish.